Glasgow architectural practice formed between Donald Bruce (1834-1919) and Edward A B Hay (1855-1934) at 261 West George Street. Donald Bruce was born in Caithness, the son of a farmer, and studied at Wick Academy and the Watt Institute, Edinburgh. Articled to William Spence in Glasgow in 1863, he bacame his chief assistant and gained much experience in designing commercial buildings, churches and country houses. In the mid-1870s, he acquired a number of commissions on his own account before leaving Spence's office to form his partnership with Hay in 1880. He was Surveyor to Kinning Park Town Council from 1881-1905, and designed their Burgh Chambers, Public Library, Public Hall and Public Baths at 116-122 West Scotland Street, with a statue of the Goddess of Harmony above the public Hall and a caryatids at the library entrance (1901-7, dem. c. 1971). Edward Alexander Buckingham Hay was born in Govan, the son of a merchant coalmaster, and attended Glasgow High School, GSA and the Andersonian University (now University of Strathclyde). From 1872-7, he worked as an assistant to John McLeod before becoming Donald Bruce's partner, as Bruce & Hay, in 1880. The partnership produced churches, banks, schools, industrial buildings and a Carnegie Library, and were architects to the Bothwell, Govan and Glasgow School Boards. 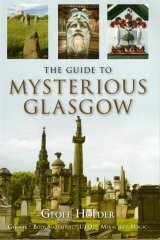 They were also responsible for designing some of Glasgow's most splendid warehouses and commercial buildings as the architects to Copland & Lye, for whom they designed Caledonia House, Sauchiehall Street (1879, demolished, 1972), and the Kinning Park and Scottish Co-operative Wholesale Societies (SCWS), whose warehouses were some of the largest and most elaborate in the United Kingdom. They designed almost exclusively in the French Renaissance style, finding in it plenty of scope for incorporating figurative sculpture and elaborate carverwork on their buildings. Most of these featured sculpture by James Alexander Ewing , the younger brother of George Edwin Ewing , including Copland & Lye's warehouse at 122-30 Bath Street, for which he produced statues, whilst William Vickers executed the building's carverwork (1896, demolished, c. 1971). Although much of Bruce & Hay's finest work was demolished in the 1970s, two of their most important surviving buildings include the former Ogg Brothers Drapery Warehouse and tenement (Angel Building), 2-20 Paisley Road West, with its landmark Angel representing Commerce and Industry (1889), and the SCWS Headquarters, Morrison Street (1892-7), whose concrete statue of Light and Life was almost lost in a fire in 1911, and eventually removed in 1994, when it began to crumble. Their Kinning Park Co-Op Building, 47-61 Bridge Street (1902), featured attic statues of Agriculture and Commerce some years before the building's demolition in the 1970s. For many years it has been said that the design for the SCWS Headquarters was a rehash of their competition designs for Glasgow City Chambers, and that the design had actually won second place. This was denied by the architects at the time, and the published premiated designs confirm that Bruce & Hay were not considered, or even mentioned in press reviews of the other entries. Less well-known is their earlier building for the SCWS at 44 Dalintober Street, adjoining the Morrison Street headquarters, which also features an extensive sculpture scheme, including a finial statue of Justice, together with massive keystone heads and heraldic panels (1887). Some of their sculpture schemes included carved portraits, such as the medallion bust of Duncan McCulloch, a chairman of the United Co-operative Baking Society, on their headquarters at 12 McNeil Street (1885-7, dem. 1973), and the bust of Beethoven over the Renfrew Street entrance to the former T.A. Ewing's Piano and Harmonium warehouse, 520 Sauchiehall Street (1897-8, carved by James Alexander Ewing ). Another building by the duo which features a portrait is the former Commercial Bank, 20-2 Bridge Street, where Hay's father-in-law, Bailie John Laing, appears on the keystone over the entrance at no. 20 (1884). Kinning Park's Burgh Buildings also had its quota of allegorical and portrait sculpture, including a statue of the Goddess of Harmony and a portrait roundel of William Mair, a former Provost of the Burgh, both by an unidentified sculptor. Portraits of the architects were included in the book Glasgow Contemporaries At The Dawn Of The 20th Century. The Baroque tenement at 101-3 High Street (1892-4); D & W Henderson's Ofices, 165 Castlebank Street (1895); Church Street School, Byres Road (1903-4); Balshagray Public School, 722-36 Dumbarton Road (1904); and Our Lady And St Margaret's Primary School, Stanley Street (1910). Both architects were members of the GIA and FIAS .